← Could movie be the beginning of the end for Postman Pat? I wasn’t going to get too heated about UK Education Secretary Nicky Morgan’s apparent suggestion that students should ditch the arts humanities in favour of the sciences. I wasn’t going to rise to the bait of yet another politician seeming to think that education is only about preparing pupils for the workplace, rather than for life as a whole. But then I spent, as I do every morning, an hour where it was just me and my son waiting until it was time for him to go to school. And then I realised just how stupid politicians are. In particular, it seems, Nicky Morgan. 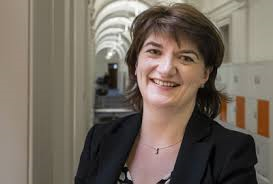 What is it with the Conservative Party and putting in charge of education people who tend to hate one of children, teachers or just learning in general – or all three? Mind you, this is the same party who had as an equalities minister someone voted against gay marriage. What’s that – that person was Nicky Morgan, too? She relented on that and I suspect there will be further backtracking and clarification over her comments that teenagers should steer away from the arts and humanities and stick with the sciences if they want a good career. There has already been an element of distancing and explanation. But I’ve covered politics on various levels for more than 20 years and a government minister at any level playing the ‘out of context’ card is yet another example of weasel words. No doubt she was playing to the gallery (at the launch of a campaign to increase interest in the sciences), but the comments are damaging, if not surprising. Despite this, after her predecessor Michael Gove was moved somewhere more appropriate for one-eyed zealots, I had decided I didn’t really have time any more to get aereated about the latest utterings from UK education leaders. Then I analysed what happened in the hour before I took my son to school. What happens every morning. Of course, my lasting memory most mornings is why, when he’s had an hour to do it, he leaves getting dressed until the final 60 seconds before it is time to set off. But prior to that, there is quite a lot going on when I can drag myself away from tea, toast and catching up on Facebook. In that hour, every day, if I take care to look and listen, my son steps from unbridled creativity one moment, to scientific question the next, not to mention the way in which he delays his morning ablutions via a combination of imagination and practical methodology as he works on his latest Lego creation. Let’s deal with the creativity first. On a daily basis, my son will announce which book he wants us to write together after school. Sometimes my thoughts turn to precisely how long I will spend taking down his dictation, as the speed of his writing does not keep up with the pace of his imagination. Then I tend to wonder at what stage in their development do children start to put parameters on that imagination. By that, I’m wondering when I started to impose limits on myself. If I had his imagination, given my reasonable experience in writing, the best-seller daydream would be a reality. That’s creativity. It’s served J. K. Rowling quite well and when you witness the line up of vapid dullards who compete in The Apprentice these days, you suspect that creativity is something British industry is crying out for. And it doesn’t have to be at the expense of science. Once he’s decided what the next book is going to be (current plans are for a new Paddington story), my son tends to switch subject. Today, following the recent installation of a new boiler, he returned to an old question of why was our heating now powered by gas instead of oil and why was it different. I could answer the first (cheaper boiler outlay) and then pondered the science of the second. Yes, my five-year-old son was asking a question that amounted to basic science. It shouldn’t be a surprise. He has a pop-up book about the body that he absolutely loves. He also loves listening to audio CDs of Roald Dahl stories. Science and the arts. They are not mutually exclusive. Similarly, I am often asked about what things were like when I grew up. That’s history. That’s one of the humanities. More to the point, that’s history that teachers have managed to explain to him in a way that he has digested and interpreted and shown an understanding. It put aside some qualms about the fact that five-year-olds were being taught about war – I have had to explain on more than one occasion there is no war in England or in the Isle of Man. Another person I know commented on the irony of Nicky Morgan’s comments appearing in the media on Remembrance Day – if ever there is an illustration of the importance of history, surely it is Remembrance Day? In case you don’t realise, Nicky, history comes under the umbrella of humanities. If you think about it, a lot of history involves a ‘scientific’ approach to investigating the past. Science and maths matter. So do the arts and humanities. Most importantly, they don’t need to be at the expense of each other and we certainly should not be telling children that you can’t combine them. I am lucky enough to do some PR work for the Family Library here in the Isle of Man. It’s an organisation that embraces and encourages creativity for children, with numerous craft workshops and special events. They also do maths and literacy workshops. No one there thinks you can’t do both together, it seems to be just the procession of Gradgrindian education secretaries who cannot get their heads around it. I have a friend, a former colleague, who is brilliant on the technical side of computers. He was the go-to-guy whenever something broke down in the office. After we had both left, I once got invited into his shed and saw some of the drawings he has done. Putting aside all feelings of envy for his gifts, it made me think about how technical know-how, science if you like, does not need to be at the expense of creativity. He has certainly combined the two with a number of workshops for children at the Family Library, including creating their own Lego animations. Given how well Hollywood has embraced technology and creativity in its animation houses, surely this combination of the arts and science, shows why Nicky Morgan is wrong to say the two are not good bedfellows? 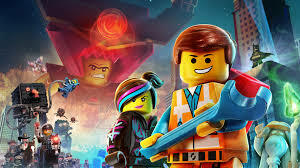 If we can create the environment where more youngsters can harness the dual skills that my talented friend has, and stop trying to put limits on our children’s education or to pigeon hole their abilities, then maybe the song from The Lego Movie will one day be true and we can say that Everything is Awesome. Gallery | This entry was posted in Politics and education, Uncategorized and tagged education, Family Library, gay marriage, humanities, Isle of Man, lego, Nicky Morgan, politics, science, The Lego Movie. Bookmark the permalink. Humanities are important, even a five year old knows that as this nice blog confirms. So why doesn’t our Secretary of State for Education, Nicky Morgan know it? My ability to accurately quote sources is appalling but I remember that there was research which showed a better link between ability in Maths and Languages and that between Maths and Science. To me it makes sense. Maths is a language. What is so often missed in all of the debate is our need to learn throughout our lives and the ability to learn is the most important skill that formal education can give us. In my first job the London University computer occupied a whole building and did nothing much more than simple arithmetic, prompted by punch cards. Since that time, most of us have taught ourselves how to use the modern computers and much more.